What You Should Know about Auto Insurance Coverage | Phoenix Personal Injury Law Blog - Breyer Law Offices, P.C. Arizona auto insurance, like many other things surrounding driver safety and possible accidents on the freeways and other streets, is shrouded in mystery for most people. After all, you know that you’re supposed to have insurance, but do you really know what the limits mean, what minimums you’re supposed to have, and how that can impact you, your recovery and your finances in the event that you are involved in an accident? Unless you are an insurance agent, or you’ve had the unfortunate experience of learning first-hand what your insurance policy can and cannot do for you in the event of a collision, you likely need to learn these top four things in order to protect yourself. Arizona is “fault” state when it comes to insurance. When you’re involved in a collision, and it was caused by another person, you have the right to file with your own insurance company (especially helpful if the other driver does not have insurance), file with the insurance company of the other driver, or file a personal injury lawsuit to claim compensation for damages and injuries you suffered as a result of the collision. 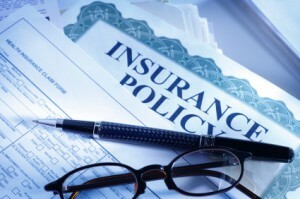 Arizona has minimum liability coverage to ensure that you have at least some coverage. You cannot legally drive a car in Arizona as an Arizona resident unless you have provided proof to the Department of Motor Vehicles that you are insured. You must have a minimum of $15,000 per individual for bodily injury liability, $30,000 per crash for accidents where more than one person sustains injuries, and $10,000 for property damage. Your insurance policy is not in compliance with the law if you don’t meet these minimums. Drivers can self insure in the state of Arizona by presenting proof of a $40,000 bond to the Department of Motor Vehicles. However, don’t cash in that bond. If you are involved in an accident and it is proven that you cashed out your bond, you’ll be in serious legal trouble. Arizona drivers are not required to hold Personal Injury Protection (PIP) insurance. This means that if you are injured in a hit-and-run accident, or the other driver doesn’t have insurance, and you don’t have PIP, you’ll be the only one left holding the bag…of medical bills you’re likely to rack up throughout the course of your recovery. For more information on your insurance policy and your rights in an auto accident, feel free to talk to the personal injury attorneys at Breyer Law Offices, P.C. Will Insurance Cover Me If a Car Crashes into My House?